Already last year we met a new generation of the Audi A6 Avant, the familiar par excellence of the brand of the four rings. However, its range seemed somewhat orphaned in the absence of the arrival of more powerful versions. 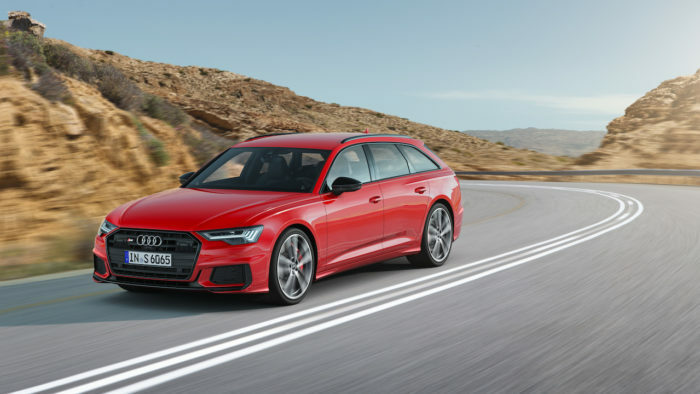 To fill that gap has been launched the Audi S6 Avant 2019, which will be the top of the range of this model until the arrival of a future RS 6 Avant. Its arrival raises some controversy for having made a change of fuel. In its previous generation this model hid under the hood a huge V8 bi-turbo of 4.0 liters of gasoline. For the incoming model has opted for a V6 TDI of 3.0 liters. It has a 48 volt electrical system but also an electrically powered compressor. That system may sound, as it had previously been mounted on the Audi SQ7, although on that occasion with the V8 TDI. The electric compressor is a very similar element to a turbo that can rotate at a speed of 70,000 rpm and is responsible for blowing air so that one of the other turbo does not fade. In this way it is possible to eliminate the lag and also makes the V6 TDI reach a power of 350 HP and 700 Nm of torque between 2,500 and 3,100 rpm. As on other occasions, the only option for the change is the automatic transmission tiptronic of eight relations and for the traction is the total quattro. The truth is that they are 100 HP less than what was delivered by the previous S6 Avant with the V8 block, but the benefits are not too far. 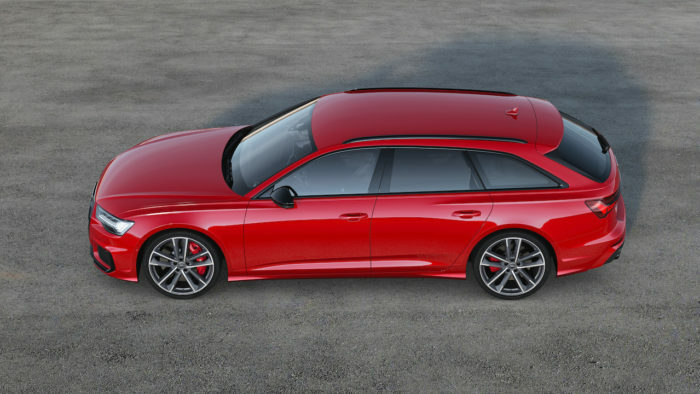 This family is able to accelerate from 0 to 100 km / h in 5.1 seconds and its maximum speed has been limited to 250 km / h. In addition to performance, the Audi S6 Avant will also stand out for its efficiency, approves a consumption of 7.9 l / 100km and CO2 emissions of 207 g / km. This has been possible thanks to micro hybridization, which the brand estimates helps reduce consumption in half a liter. With the 48-volt electrical system you can also get an extended sail mode that can reach up to 40 seconds and a Start / Stop that works from 22 km / h.
It promises interesting dynamic behavior when mounting a central self-locking differential. This system also provides security by being able to send 70% of the power to the front axle and up to 85% to the rear depending on whether there are adhesion losses. The sporty suspension S and a more reactive direction will give it more character and it is also possible to optionally add elements such as air suspension. The Audi S6 Avant also adds a series of distinctive details that give it that extra touch of sportiness. On the outside there are more generous air intakes, newly designed tires or four exhaust outlets. Aluminum will be the protagonist both in the exterior and in the interior. In the passenger compartment also add the S sports seats or a specific steering wheel.